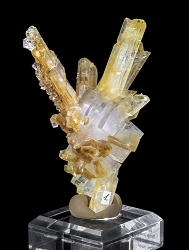 This is an outstanding specimen that has a lot going for it! 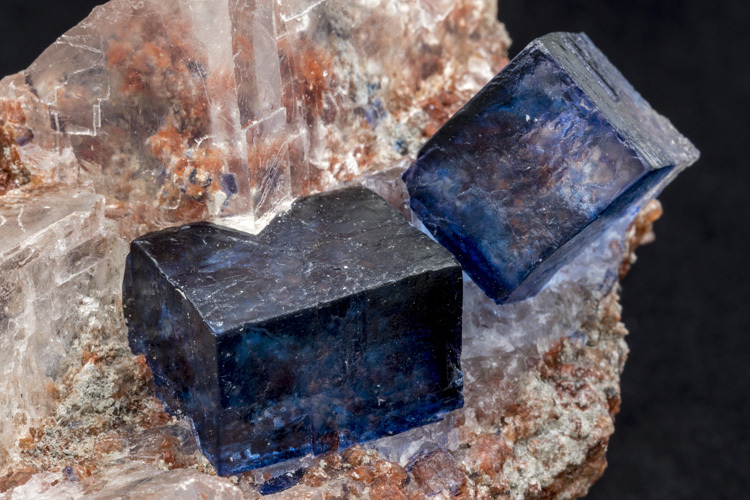 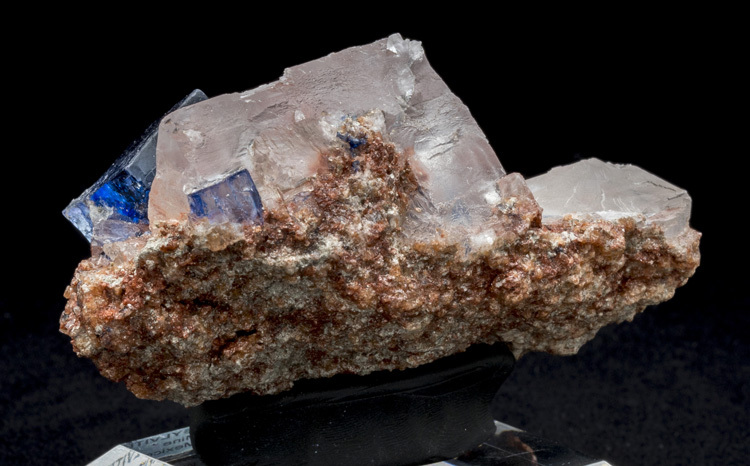 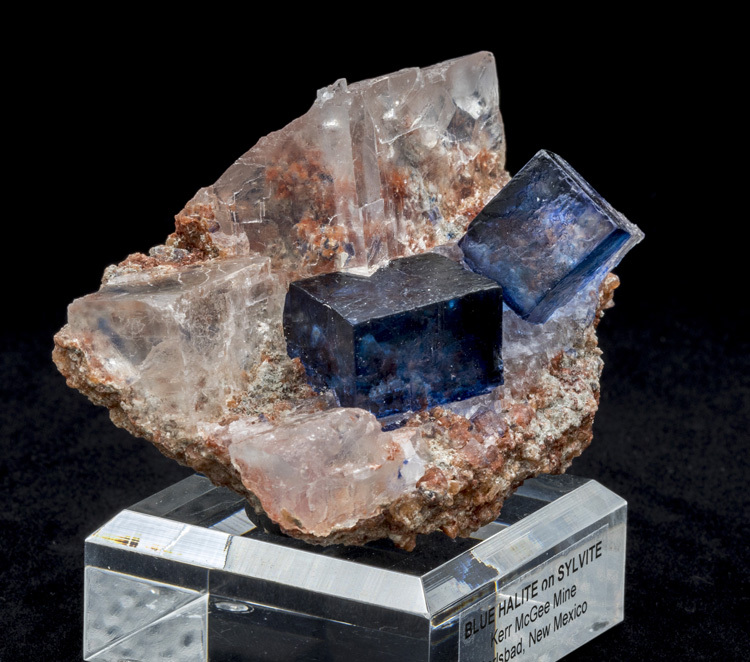 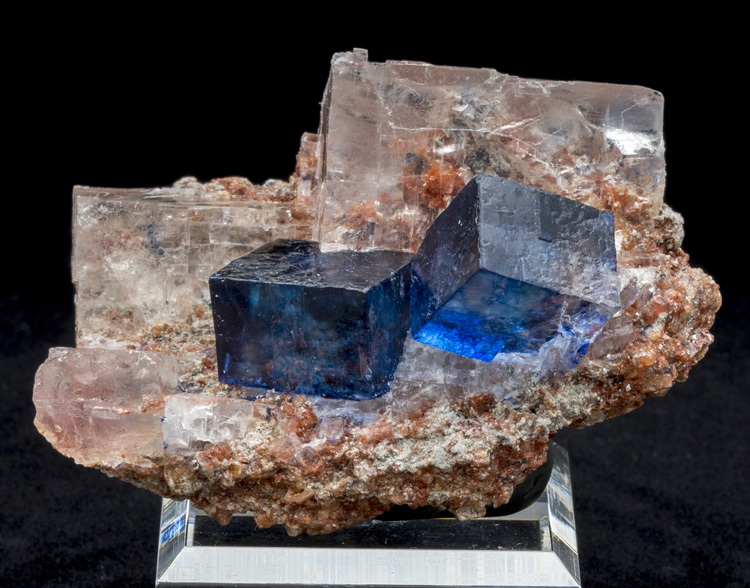 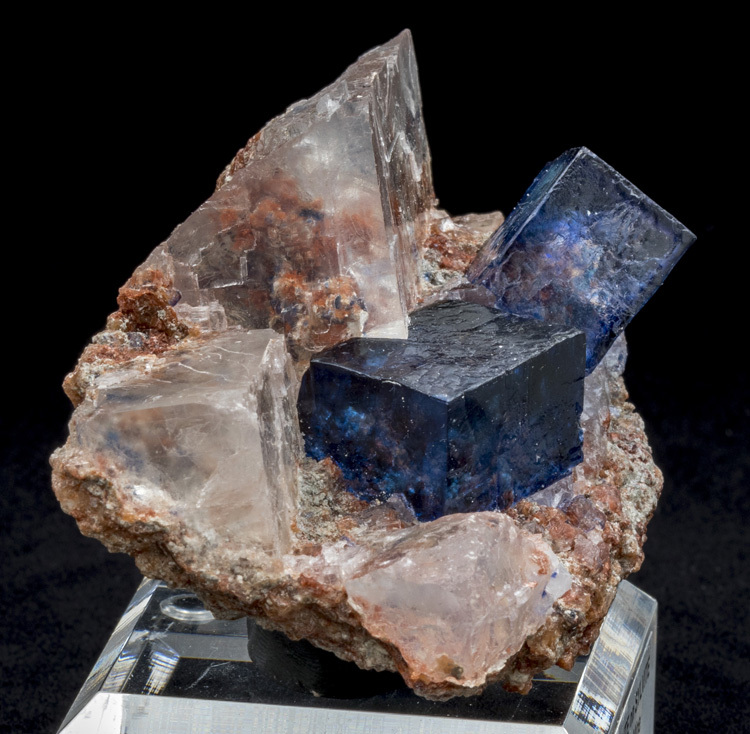 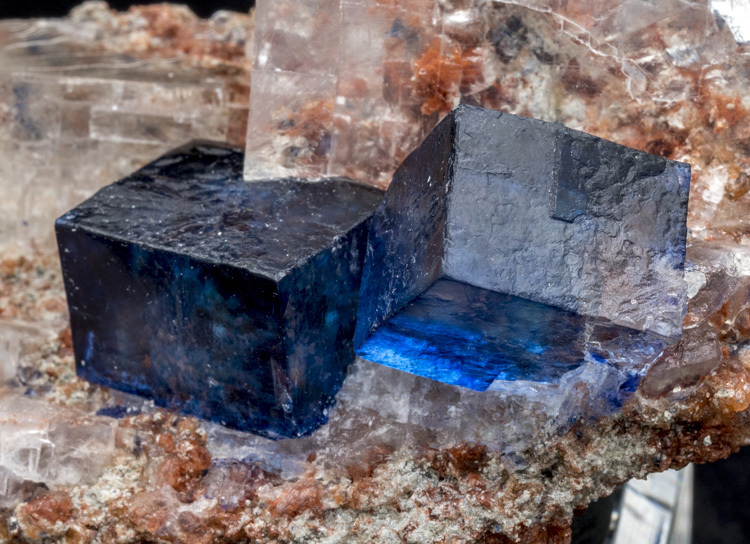 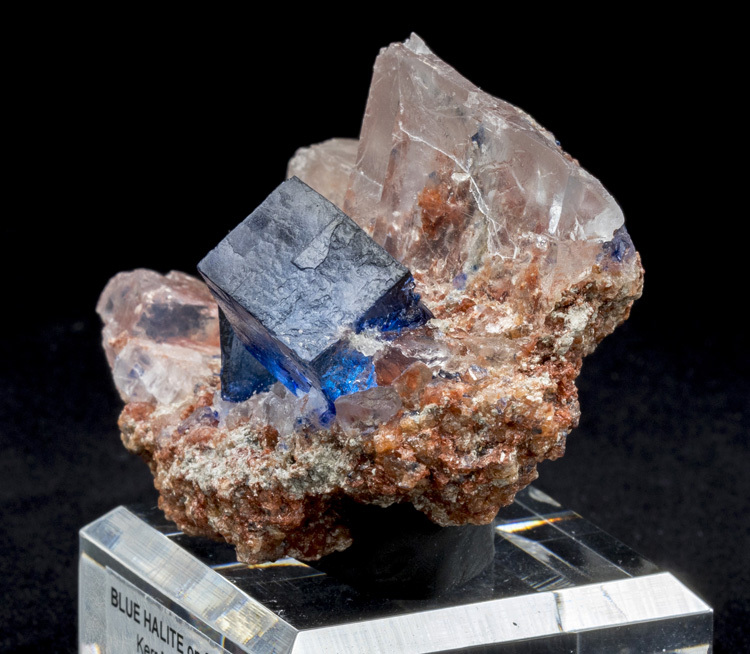 For starters there are two perfect blue halite cubes, the largest measuring 2.2cm wide. 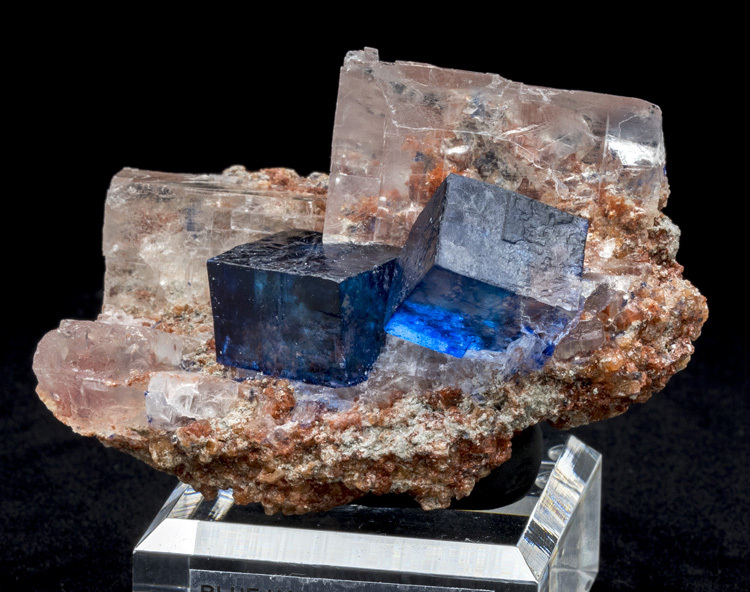 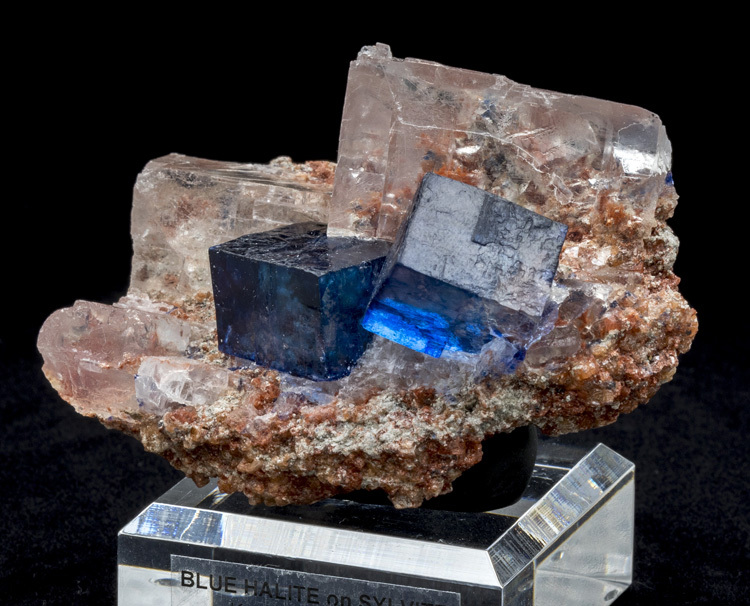 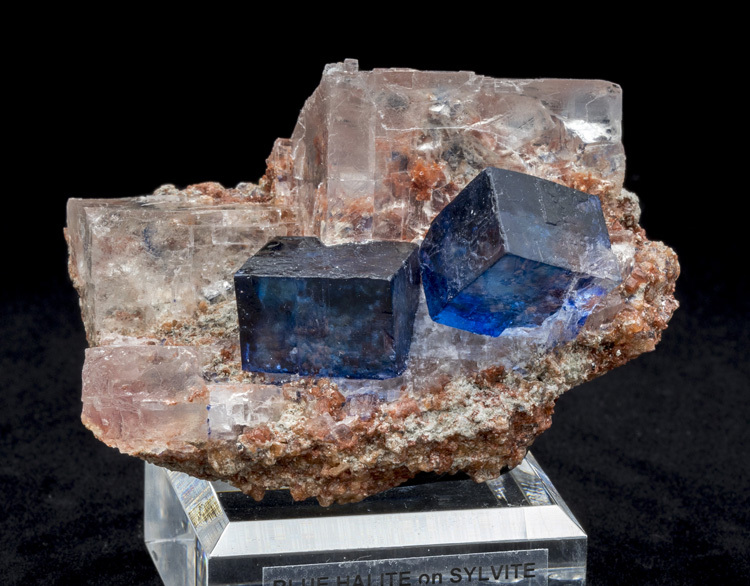 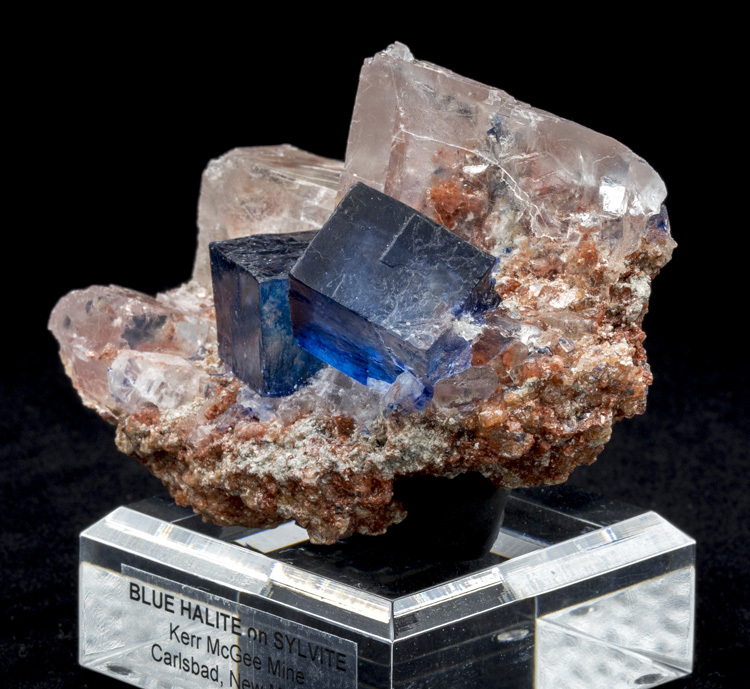 The color of each blue cube is deeply saturated and they stand out wonderfully against the clear sylvite behind them. 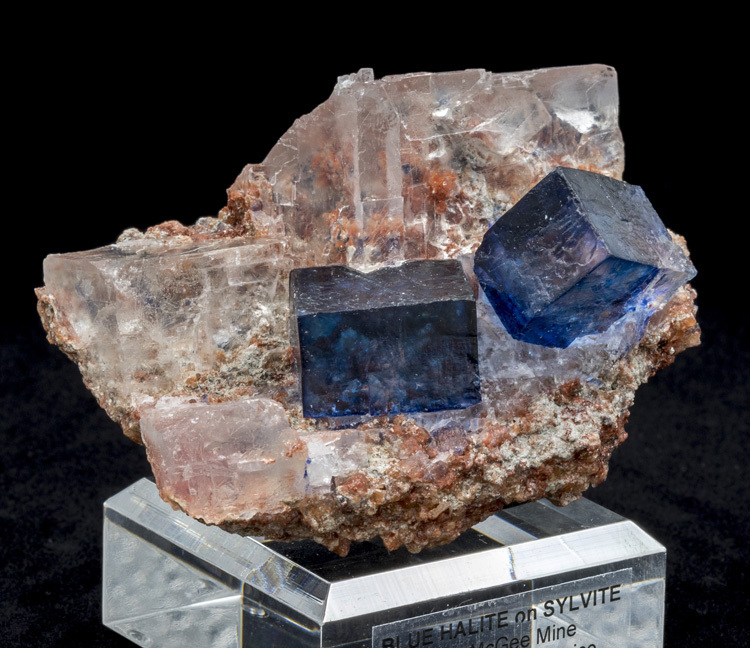 The clear sylvite is so clear that you can see the orange matrix through it. 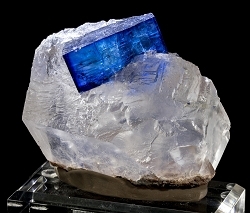 This is a top quality specimen, and with the supply running low it's unlikely you'll find another one this good for sale anytime soon.